Salvador Bartera (Mississippi State University) won a Caristia grant for a "Rome's Birthday" party on April 21st. Sherri Madden (Master's Academy, Westminster Catawba Christian School, and Palisades) won Caristia grants for "Rome's Birthday Party" as well as BIG awards for "Roman Adventure Day." James Meyer (Columbia Public Schools) won a BIG award to help bring Tom Keeline to the Missouri Junior Classical League Convention. Leigh Grace Rouyer (St. Joseph's Academy) won a BIG award for "T-O-G-A! Ancient Greek and Roman Summer Camp." Jennifer Luongo (St. Andrew's Episcopal School) won a Student Group Travel Grant. Benjamin Haller (Virginia Wesleyan University) won a BIG award for the Classical Virginia Class Outings to Jamestown, Monticello, and Norfolk. Karilyn Sheldon (Concord Academy) won a Student Group Travel Grant. Davina McClain (Louisiana Scholars' College) won a BIG award for "The Philoctetes: A Soldier's Perspective." Here is the poster from the event. 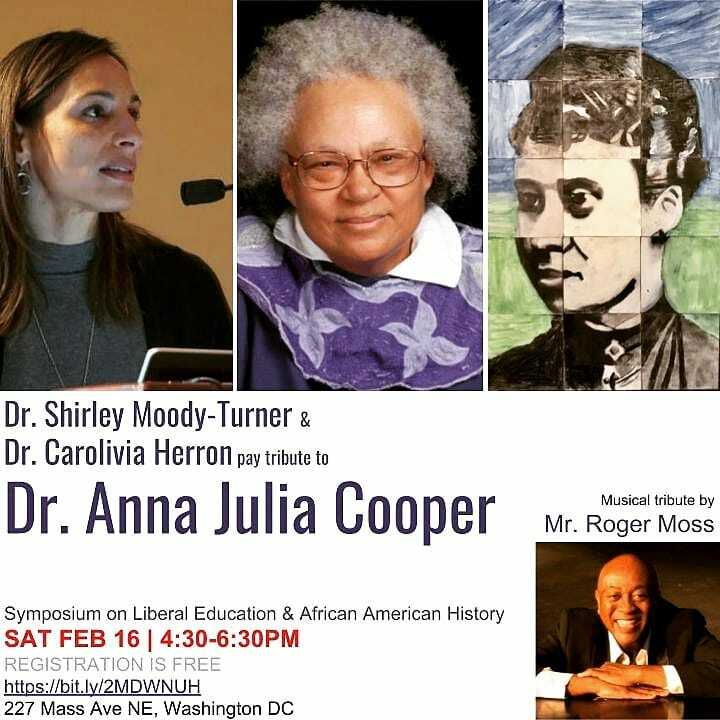 David Withun (Hillsdale College) won a BIG award for "The Symposium on Liberal Education and African American History: A Celebration of the Life and Legacy of Anna Julia Cooper." Here is a flyer from the event. Jonathan Zarecki (University of North Carolina Greensboro) won a BIG award for Classics Day 2018. Kristian Lorenzo (The Meadows School) won a Student Group Travel Grant. Here is his report with pictures. Christopher B. Polt (Boston College) won a BIG award for an after-school Latin program for low-income students in Jamaica Plain, MA. Tom Keeline (Washington University in St. Louis) won a BIG grant in support of an active Latin workshop lead by Justin Slocum Bailey. 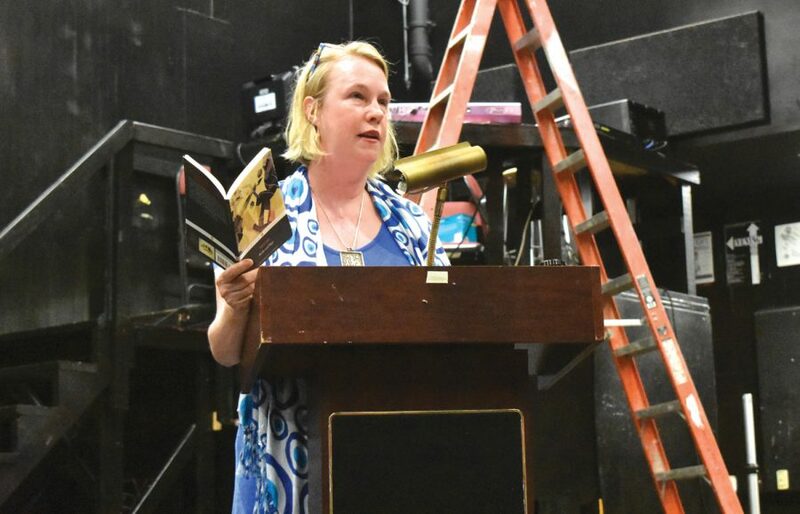 Amy Leonard (Grady High School) won a Caristia grant to support the poet A.E. Stallings' visit to her Latin Club. Here is a flyer advertising the event and a photo taken there. Robert Holschuh Simmons (Monmouth College) won a BIG award for Classics Day. Salvador Bartera (Mississippi State University) won a BIG award for Classical Week 2018: Sophocles' Oedipus Rex. Here are eight examples of their promotional work for the project: Auditions, Review, Lecture, Flyer, Dispatch, Notice, Announcement, Program. David Schenker (University of Missouri) won a BIG award to provide lunch and funding for students speaking at the Missouri Classical Association Annual Meeting. Here is the program from the event as well as some photos. 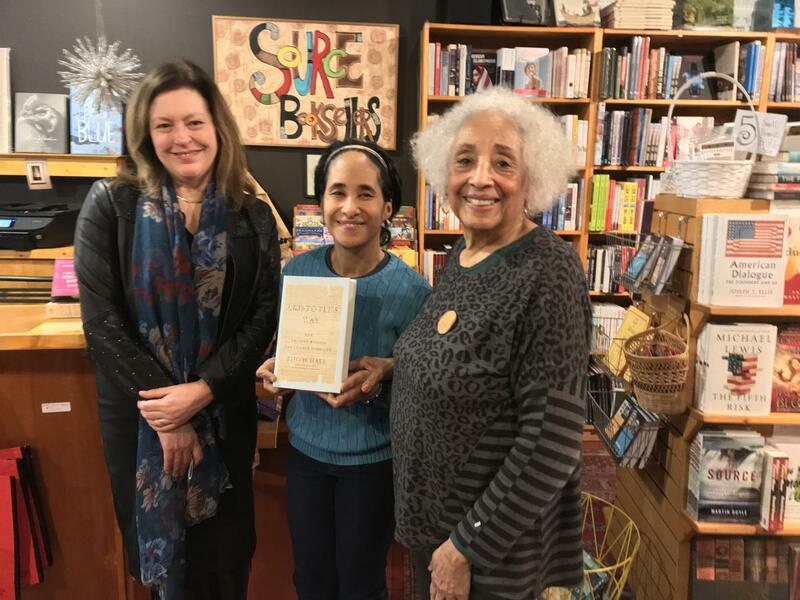 Michele Valerie Ronnick (Wayne State University) won a BIG award to bring Edith Hall to Source Booksellers, an independent bookstore located near campus, to speak about her latest book "Aristotle's Way: How Ancient Wisdom Can Change Your Life." Here are some photos of the event: photo 1, photo 2, photo 3, photo 4 as well as a notice about the book from the New York Times. William Brockliss (University of Wisconsin-Madison) won a BIG grant for their CANES High School Visit day. Here is their report. Nathalie Roy (Glasgow Middle School) won a BIG grant for her 6th Grade Summer Blitz. 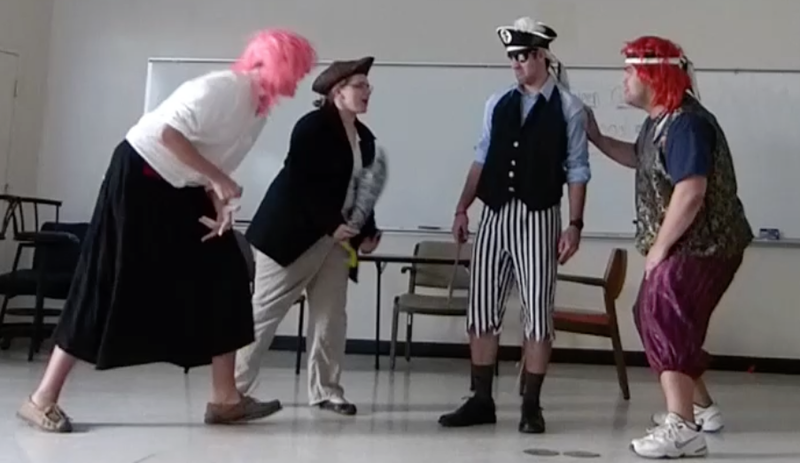 Ted Gellar-Goad (Wake Forest University) won a BIG grant to support travel with his students to present plays of Aristophanes and Plautus for students at the North Carolina Junior Classical League. For report and images: click here. Mike Lippman and Matthew Loar (University of Nebraska, Lincoln) won a BIG grant for their Homerathon. Neoma Williams (Amercian Preparatory Academy) won a BIG grant to support the Nevada Junior Classical League State Convention. Salvador Bartera (Mississippi State University) won a BIG award for Classical Week 2017. Arum Park (University of Arizona) won a BIG grant for Classics Teacher Day. Davina McClain (Northwestern State University) won a BIG grant for arranging a lecture, "Not your Mummy's Memes: Humor and Politics in New Kingdom Egyptian Art", given by Dr. Elizabeth A. Cummins. Local Article: click here. Amy Leonard (Grady High School) won a BIG grant to support her Rising 9th Grade Night Promotion. 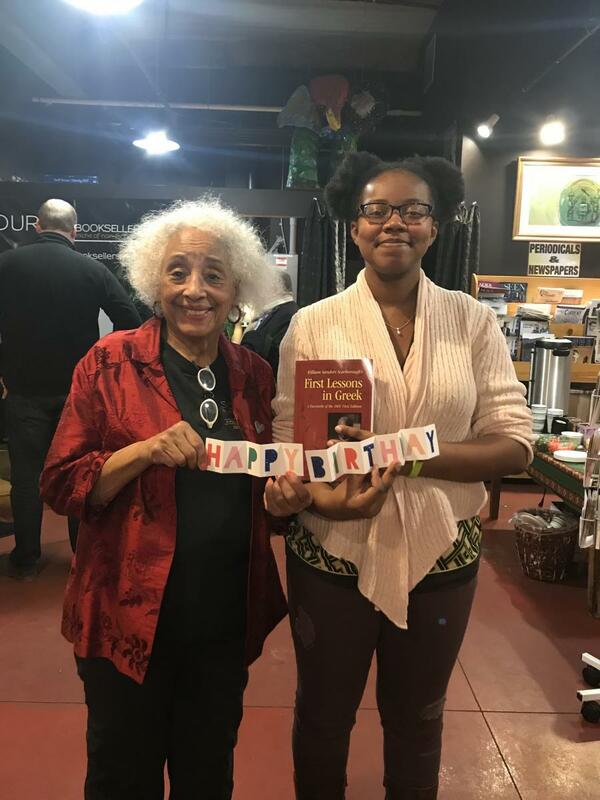 Adriana Brook (UW-Madison, Beloit College, and Lawrence University) won a BIG grant to support Wisconsin Classics Day. Nicoletta Villa-Sella (The Linsly School) won a BIG grant to support the West Virginia Junior Classical League. Presenter Write-Up: click here. Tom Keeline won a BIG grantt to support his podcast, Philologia Perennis: A Latin Podcast. Tom Garvey (Meadows School) won a BIG grant to support SNAP! (South Nevada Amici Pratis). David Withun (Savannah Classical Academy): won a grant for their February Savannah Symposium “African-American History and Liberal Education: A Celebration of the Life and Legacy of William Sanders Scarborough," organized by David Withun, Benjamin Payne, and Michele Valerie Ronnick. For a newspaper article: click here. Ted Gellar Goad (Wake Forest University) won a BIG grant to support Texas Tech Classics Day. Karen Caroe (Desert Springs Christian Academy) won a BIG grant to support the purchase of certamen buzzers. David Fisher won a Caristia Grant to support the 2018 Southern Nevada Certamen League. Michelle Ronnick won a Caristia Grant to support her program, The Colosseum's Awning: A Reassessment of the Theories. 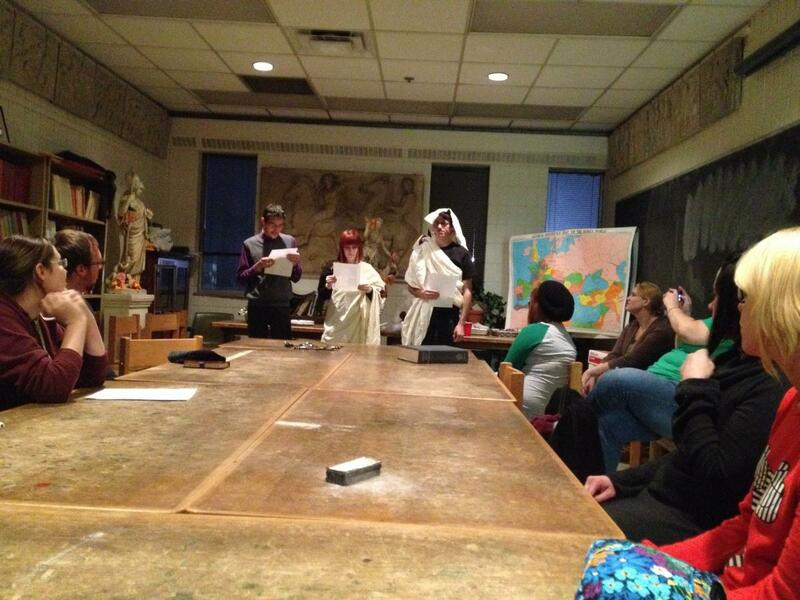 Tom Garvey won a Caristia Grant to support his Secret Saturnalia Celebration. Lynn Li Calsi (Fairview High School) won a High School Travel Grant. Sr. Therese Marie (St. Michael's Academy) won a High School Travel Grant. Robert Simmons (Monmouth College) received a BIG for putting together a Classics Day program at Monmouth College, October 22, 2016. Sherri Madden (Master's Academy) received a BIG for her MACC Mission, a series of outreach events organized and hosted by her students. She also won a Caristia Grant for a celebration of Rome’s birthday. Meghan DiLuzio (Baylor University) won a BIG for an Active Latin event with Justin Slocum Bailey. Courtney Shaw (Blake School) won a BIG for an Active Latin event through the Paideia Institute. Tom Keeline (Washington University) won a BIG to host a meeting of the Grex Ludouicopolitanus, a St. Louis-area conversational Latin group. Amy Leonard (Grady HS) won a Caristia Grant for her school’s House Competition program. For images of the buttons, click here. Amy Skillicorn (Mount de Sales) won a Caristia Grant for an end of the year banquet for her Etymology Club. Amanda Wall (Georgia Southern University Research & Service Foundation) won a BIG for her Exploratory Etymology Club. Luca Grillo (UNC Chapel Hill) won a BIG for a series of outreach events for local high school teachers. Robin Anderson (Phoenix Country Day School) won a BIG for a guest lecture by Jennifer Sheridan-Moss as a part of a “Classics meet STEM” event. 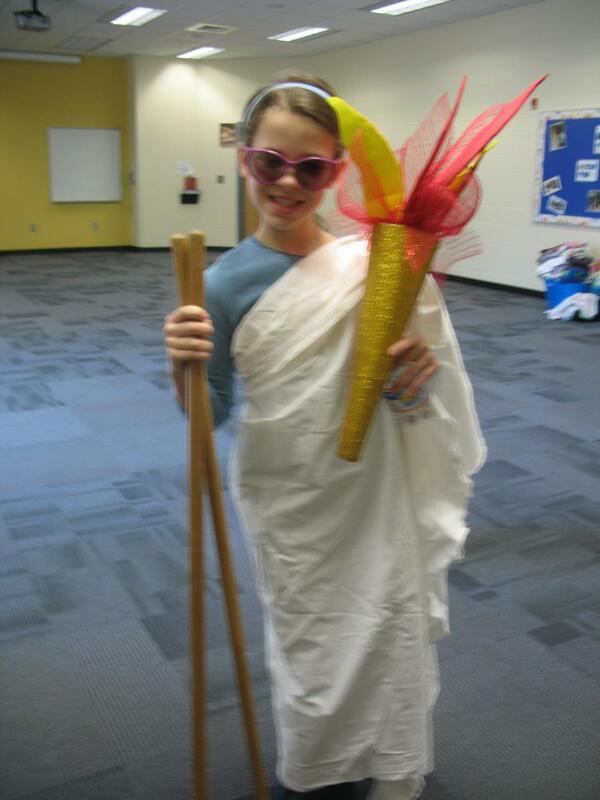 Sam Brown (Basis Tucson North) won a BIG for an event focused on the Iliad and the Odyssey. Josiane Vero (Trinity-Byrnes Collegiate School) won Caristia Grant for her Junior Classical League club. For a link to a local article, click here. 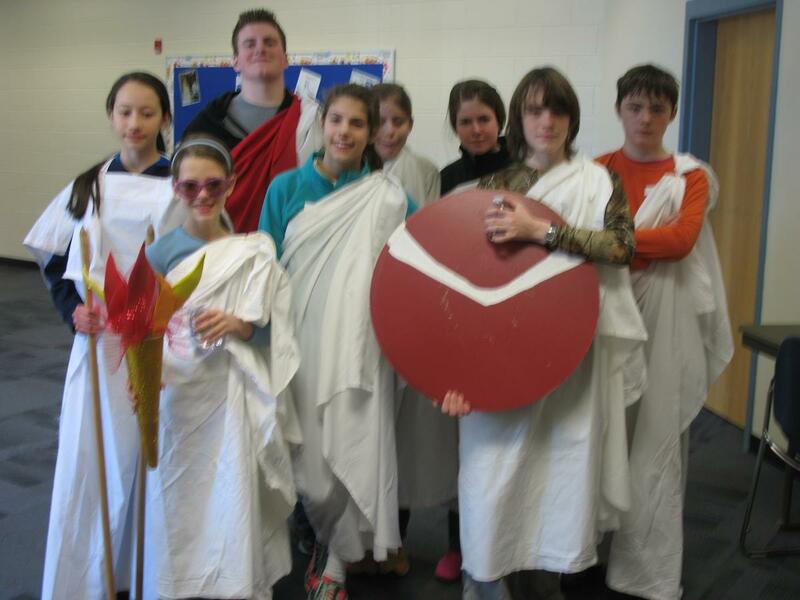 Keely Lake (Wayland Academy) won a Caristia Grant for a celebration of Rome’s birthday. Christopher Brunelle (St. Olaf College) won a Caristia Grant for a marathon reading of the Metamorphoses (a Metamorphomarathon). Jeremy Walker (IJCL) won a BIG to bring Andrea Stehle to the State Convention of the Indiana Junior Classical League. Christine Albright (Univ. GA) won a BIG for an event to promote careers in Latin teaching. Rocki Wentzel (Augustana University) won a BIG for an outreach event for two local high schools. Salvador Bartera (Mississippi State) won a BIG for Classical Week including a staging of Plautus' Aulularia and a colloquium on Roman Theater. He also won a Caristia Grant for a celebration of Rome’s birthday. 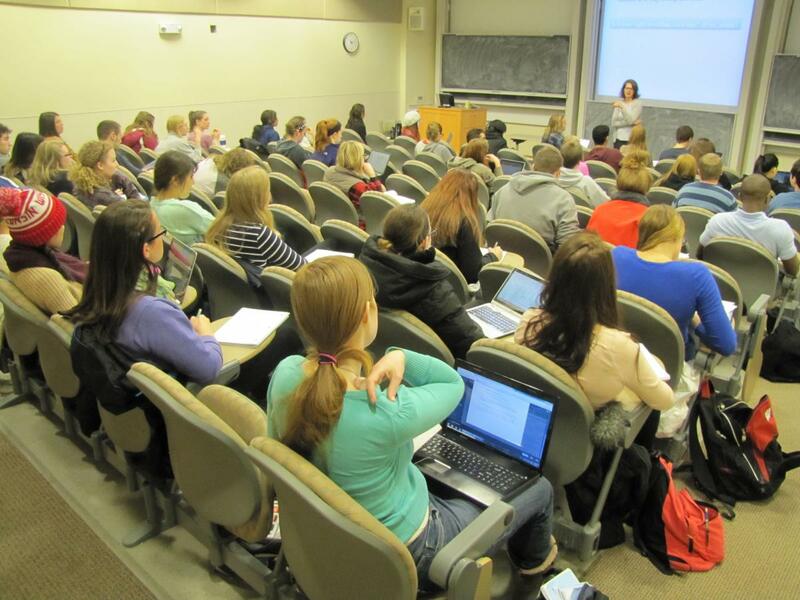 ​Cynthia White (University of Arizona) received a BIG for hosting a Classics Day. For a report, click here. Kelly MacFarlane (University of Alberta, Edmonton) received a BIG for sponsoring a Taste of Classics event at the University of Alberta Open House. For a report with photos, please click here. The Dacula Latin Club (Patrick Yaggy, Gwinett High School, Gwinett GA) received a BIG for hosting the Latinitas Awards Ceremony on May 11, 2016. Amanda Wall (Georgia Southern University) received a BIG for sponsoring the Exploratory Latin Club at the local elementary school in Statesboro (GA) -- now in its second year. Sherri Madden (Masters Academy, Matthews NC) received a BIG for MACC Mission, a series of outreach events organized and hosted by her students. Sherri also received a Caristia Grant for each of the four student groups that she is teaching this year. For photos of her MACC Mission project, please click here. Jonathan Fenno (University of Mississippi) was successful in securing a BIG on behalf of Monica Granderson (Jackson State University) for inviting Prof. Michele Ronnick to discuss her scholarship on William Sanders at the annual READ-IN event. For photos, click here. Nicoletta Villa-Sella (Linsly School) received a BIG for organizing the West Virginia State JCL Convention. Among the highlights will be a presentation by Victoria and Thomas Jordan: "Rome in the 23rd Century: Roman History and Mythology in the Star Trek"
Mary Pendergraft (Wake Forest University) received a BIG for hosting an outreach event, featuring Joe Goodkin: "The Odyssey: A Folk Opera"
Jeremy Walker (Crown Point High School) received a BIG for providing his students of Latin with 'real' Roman banquet experience at the end of the school year. E. Del Chrol (Marshall University) received a BIG for hosting an outreach event with Jonathan Zarecki: "How I learned to stop worrying and love the lorica"
Robert Simmons (Monmouth College) received a BIG for organizing the annual Classics Day at Monmouth College. 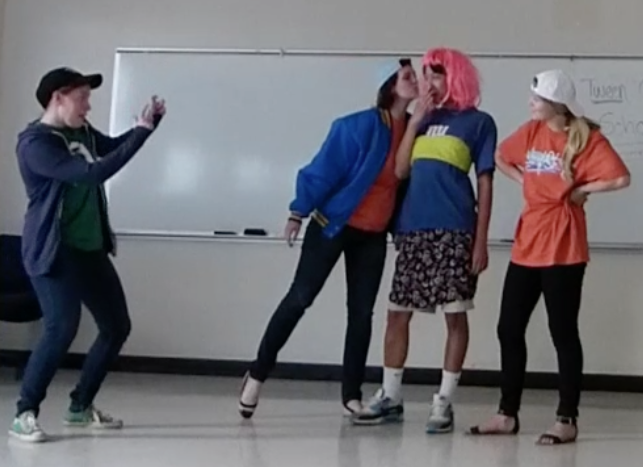 Ted Gellar-Goad (Wake Forest University) received a BIG for taking his students to the North Carolina Junior Classical League convention in Chapel Hill, to perform 10-minute adaptations of plays by Aristophanes and Plautus for an audience of middle- and high-school Latin students. Salvador Bartera (Mississippi State University) secured a BIG for staging Seneca's Phaedra next September. The performance will be part of the "Classical Week," sponsored by the Honors College. Salvador also received a Caristia Grant for sponsoring a reception and/or breakfast for the participants a seminar on Caesar's De Bello Gallico, held by Professor Krebs, who will visit MSU in April. The Caesar seminar is intended for Classics majors who wish to become High School teachers, but will be open also to local scholars and MS High School teachers who teach Caesar. Diana Webb secured a BIG for keeping her students involved in NJCL and NMJCL and, more specifically, enabling them to participae to the National NJCL Convention in Indiana. Christopher Craig received a BIG for covering part of the costs of the 33rd annual University of Tennessee Latin Day, October 30, 2014. Sherri Madden received a BIG or hosting an Ancient Aquatic Adventure in collaboration with the Carlos Mueum at Emory University and the Georgia Aquarium, March 22, 2015. Click here for a newspaper covering of the event. Caren Caroe received a BIG for defraying part of the costs of participating in the National Convention of the JCL at San Antonio, TX, July 27-August 1, 2015. Mark Keith received a BIG for funding the Ursus Latin Program, a four-day camp for elementary students in grades 2-5, at Riverbend High School, Fredrickburg, VA, June 15-18, 2015. Robert Holschuh Simmons received a BIG for putting together a Classics Day program at Monmouth College, April 18, 2015. Pictorial highlights can be seen here. Jeremy Walker received a BIG for inviting Joe Goodkin to perform his 'Odyssey' at the Indiana Classical League State Convention. 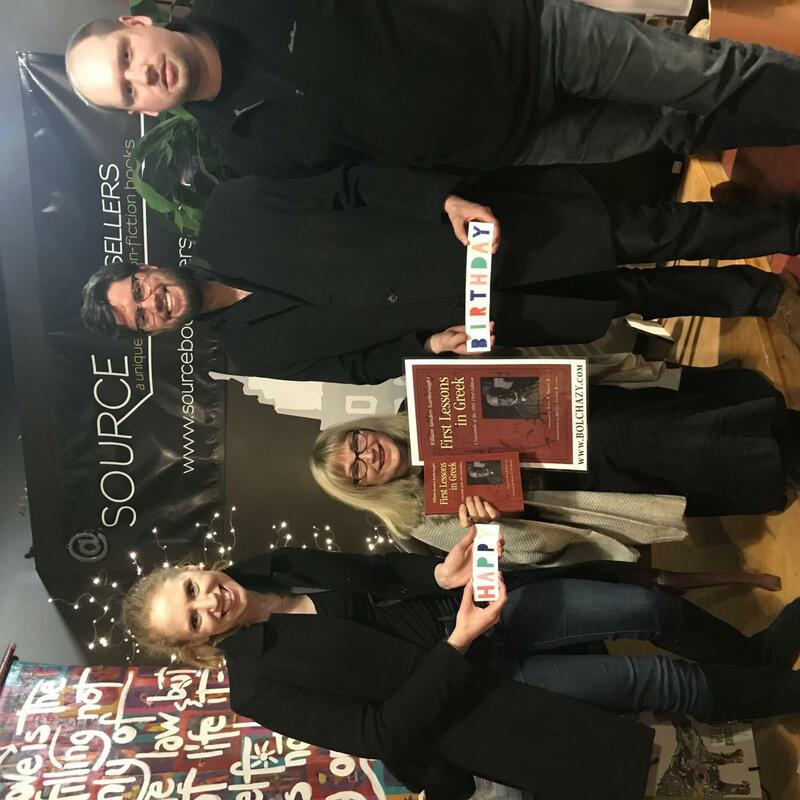 Matthew Semanoff recieved a BIG for having Joe Goodkin perform his 'Odyssey' at an outreach event for students at the University of Montana as well as of Hellgate High School at Missoula, MT, April 14. 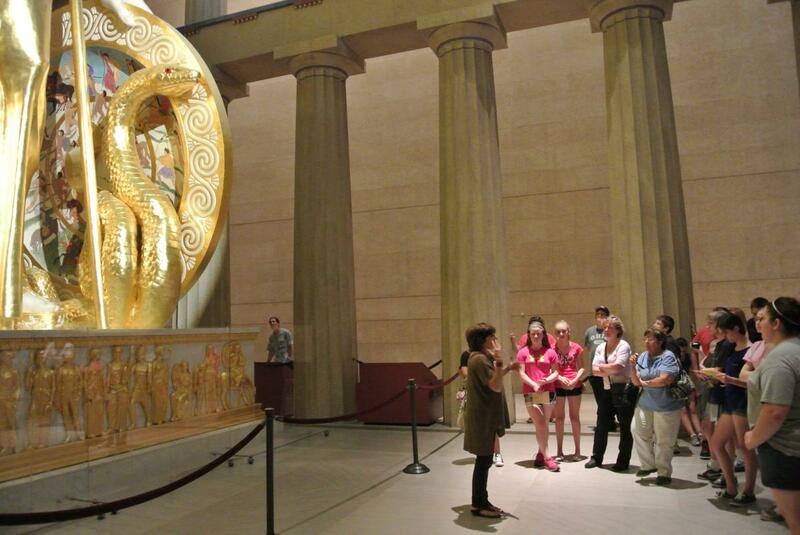 Marcie Handler (Covington Latin School) received a Caristia Grant for taking a group of 29 students and 6 adults (three teachers and three parents) to visit the Parthenon in Nashville, TN. Gwen Compton Engle (John Carroll University) received a Bridge Initiative Grant for organizing an Alumni Panel, entitled "Classics and Your Career." Christopher Craig (University of Tennessee, Knoxville) received a Bridge Initiative Grant for hosting a speaker at the 33rd annual University of Tennessee Latin Day. 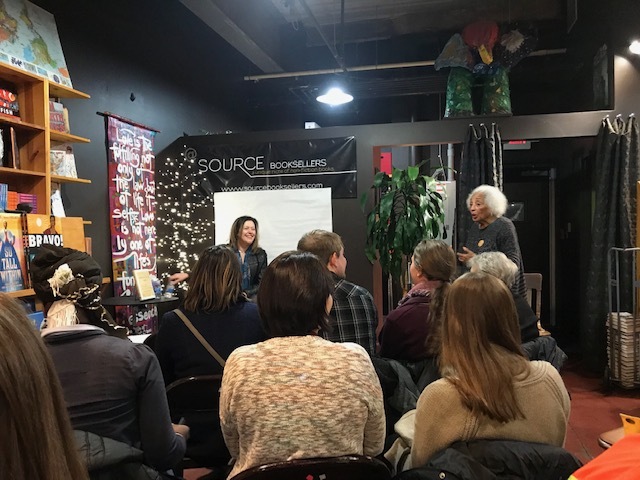 E. Del Chrol (Marshall University) received a Bridge Initiative Grant for organizing an outreach event to the broader community featuring a lecture on astronomy and astrology in Rome and in Hellenistic works. Del also received a Caristia Grant for the classics department's annual banquet. Nicoletta Villa-Sella (The Linsly School) received a Bridge Initiative Grant for defraying part of the costs of the West Virginia State Latin Convention, which took place at Bethany College (WV) on February 5-6. Katie James (Vanguard College Preparatory School) received a Caristia Grant for hosting a party following her students' annual re-enactment of the assassination of Julius Caesar for their peers in the school's Latin program. Sherri Madden (East Mooresville Intermediate School) received a Bridge Initiative Grant for staging a Roman Adventure Day for about 125 fourth graders on Friday, March 13. Click here for photos. Stephanie Hutchings (University of Arizona) received a Bridge Initiative Grant in support of the annual lectio Vergiliana, which will be held in the Special Collections Library on April 8. The reading involves all Latin classes as well as graduate students and faculty of the classics department and brings together the classical community in a public setting. William Brockliss (University of Wisconsin, Madison) received a BIG for hosting a high-school visit day on March 19, 2015. Click here for photos, Click here for report. E. Del Chrol (Marshall University) received a BIG grant for hosting Andrew Reinhard who will promote the study of Classics to the broader community. Del also received a Caristia grant for hosting a banquet for all Classics students at Marshall University. To view a snapshot of the event, please click here. Ted Gellar-Goad (Wake Forest University) received a BIG grant that will help greasing the wheels for his students to get to the North Carolina convention of the Junior Classical League. They will perform scenes from Aristophanes and Plautus at the event. Click here for a report, and click here and here for photos. Jeff Hunt (Baylor University) received a BIG grant for Baylor's annual Latin Day, an event that brings together Baylor students and high school students in the Waco-area. Jessie Craft (Glenn High School of Kernersville) received a BIG grant for recreating with his students various Roman buildings and architectural structures. 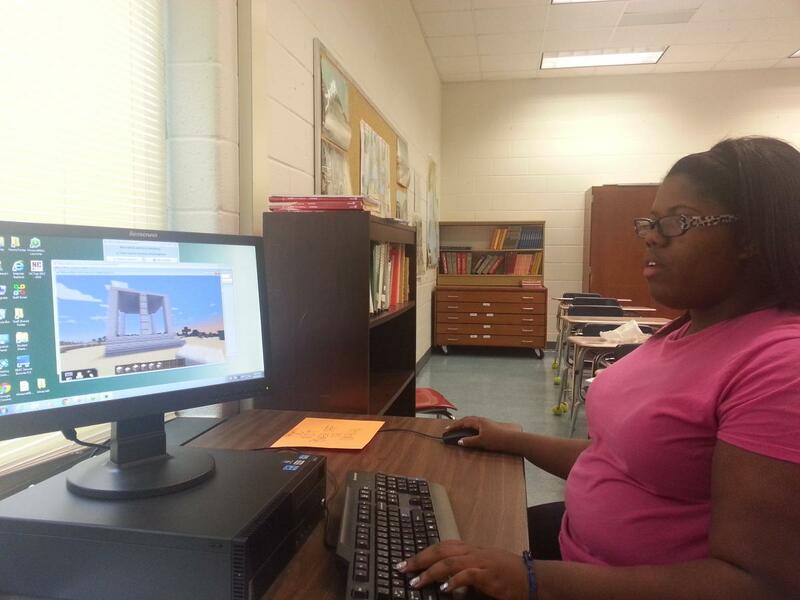 They will use a building/ creation-oriented video game and present their recreations to a larger audience at Glenn High, the NCJCL Classics Day, and hopefully also at the NCJCL state convention next year. To view a snapshot, please click here. Chris Brunelle (Saint Olaf College) received a Caristia Grant for St. Olaf College's biennial Metamorphomarathon. It was held on January 29, and was a great success. For a photo click here. 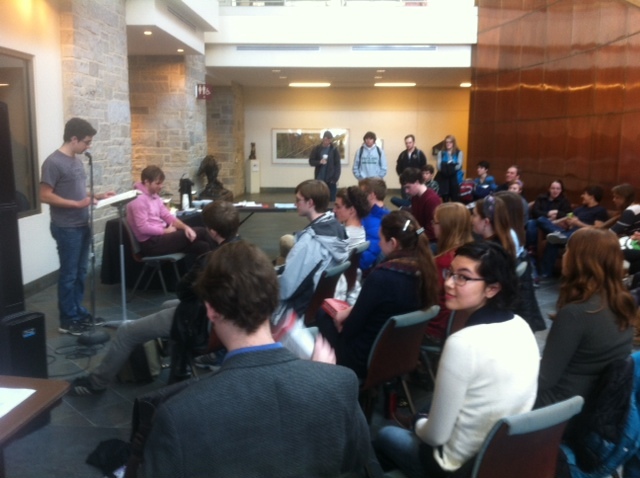 William Brockliss (University of Wisconsin, Madison) received a BIG grant for hosting students from local high schools at the Department of Classics on March 12. Click here for a photo. Nicoletta Villa-Sella (Linsly High School) received a BIG grant for inviting Andrew Reinhard who will promote the Classics at the upcoming WV state convention. The University of North Carolina at Greensboro Classical Society (with Robert Holschuh Simmons as advisor) for organizing sixteen classically-oriented events, many with multiple components, for the enlightenment and edification of roughly 1,000 attendees at Classics Day on November 16, 2013. Click here for the flyer and pictorial highlights of the event. The University of North Carolina at Greensboro Classical Society (with Robert Holschuh Simmons as advisor), which received a BIG grant for hosting the Central Carolina Classics Conference. Eighteen undergraduate students from UNC Asheville, Davidson College, Wake Forest University, and UNC Greensboro presented vetted papers, Dr. Robert Connor delivered a keynote address titled "Classics Now: The Present Situation and Future Prospects at the Core of the Humanities," and presenters, Dr. Connor, and other attendees continued the conversation at a post-event banquet. Click here for flyers, the program, and pictorial highlights of the event. The Master's Academy Classical Club (Sherri Madden), which received a BIG grant for hosting an Olympika event for the 4th graders at East Mooresville Intermediate School. Click here and here for photos. The North Gwinnett High School Latin Club (Patrick Yaggy), which received a BIG grant for hosting an end-of-the-year ceremony that reveals the results of the school's annual Latinitas points competition. 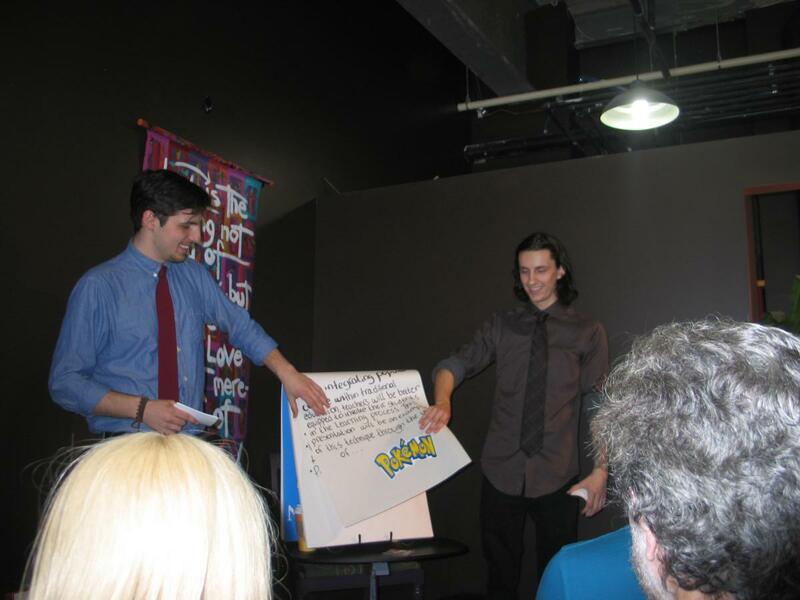 Michele Ronnick, who received a BIG grant for supporting a public event at Source Book Sellers (Detroit) that showcased two undergraduates from Wayne State discussing Latin and Greek elements in the names in Pokemon. Click here for a photo. 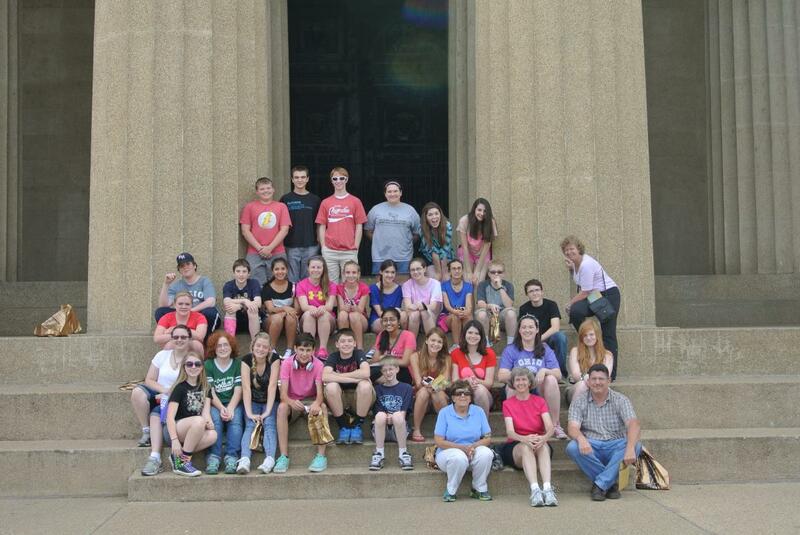 Marcie Handler (Covington Latin School) received a Caristia Grant for taking a group of 29 students and 6 adults (three teachers and three parents) to visit the Parthenon in Nashville, TN. Click here and here for photos.